Someone used a stolen backhoe to attempt to break into an ATM, according to Prince George's County Police. 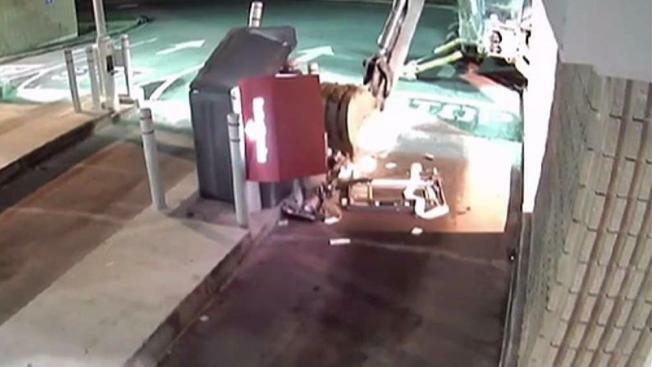 Surveillance video shows the backhoe tearing up the ATM about 4:30 a.m. Thursday at a bank in the 7500 block of Marlboro Pike, about 5 miles away from where the backhoe was taken. 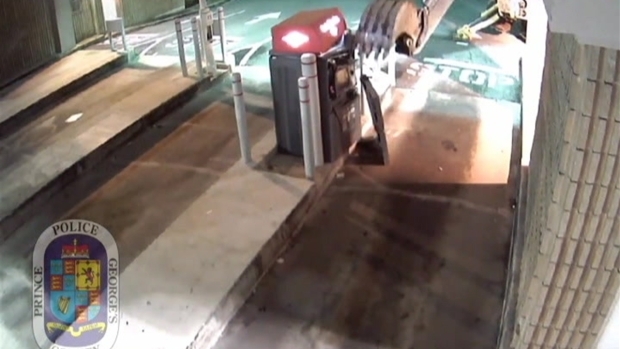 The attempt to break into the ATM failed, but it caused about $10,000 in damages. Police believe the same suspect broke into another ATM in March 2016 at a tobacco shop on Marlboro Pike with two accomplices. In that theft, he stole cash and took the ATM. Someone stole a backhoe, drove 5 miles to a bank and tried to break into an ATM, causing $10,000 in damages. Anyone with information about either case can call (301) 390-2160 or make an anonymous tip to Prince George's County Crime Solvers at 1-866-411-TIPS (8477).